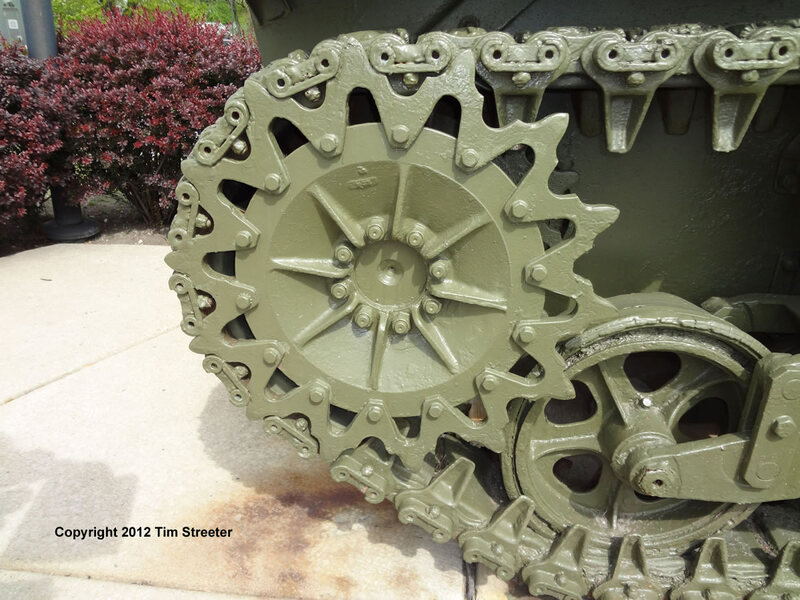 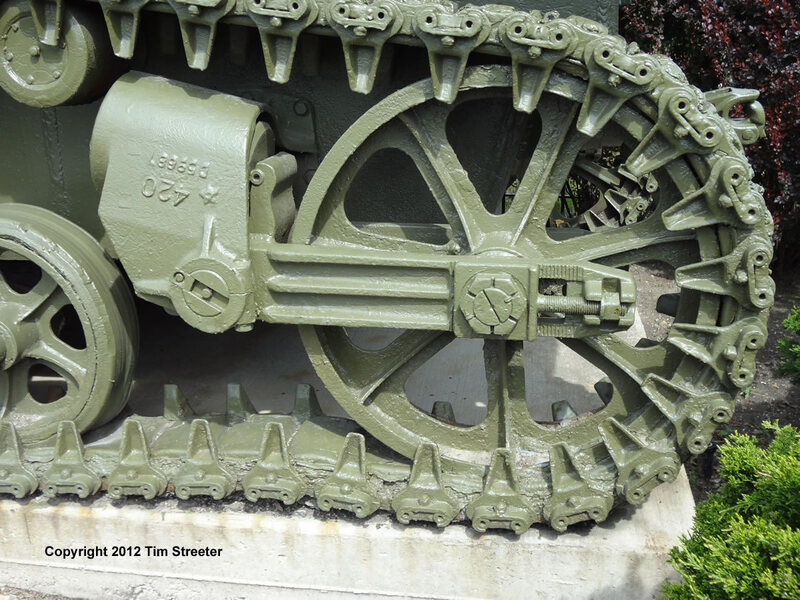 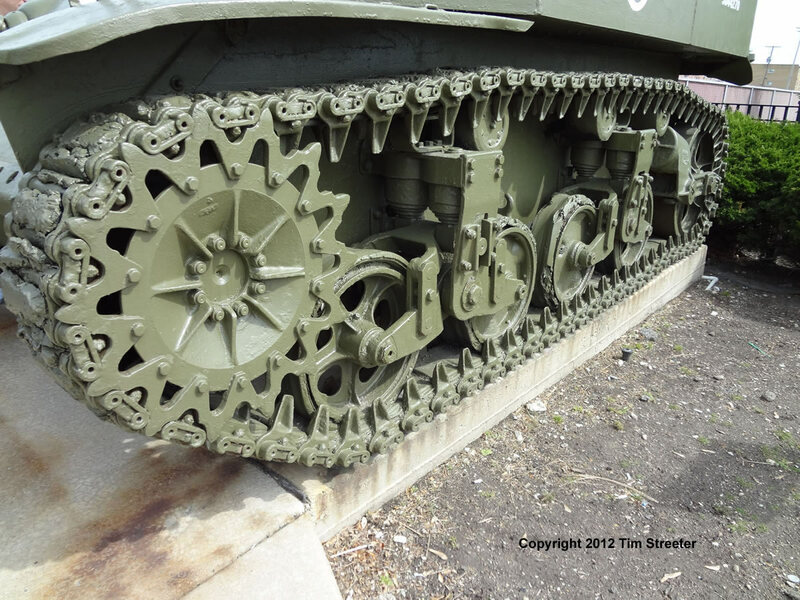 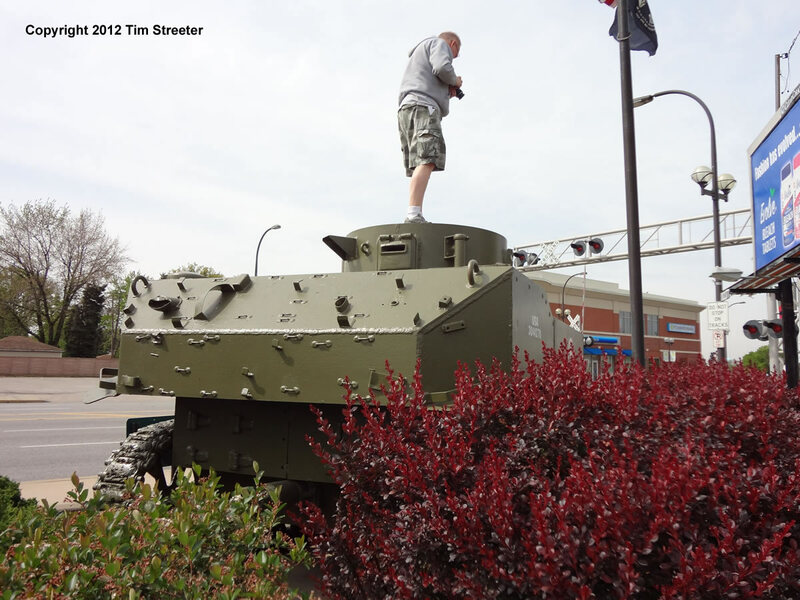 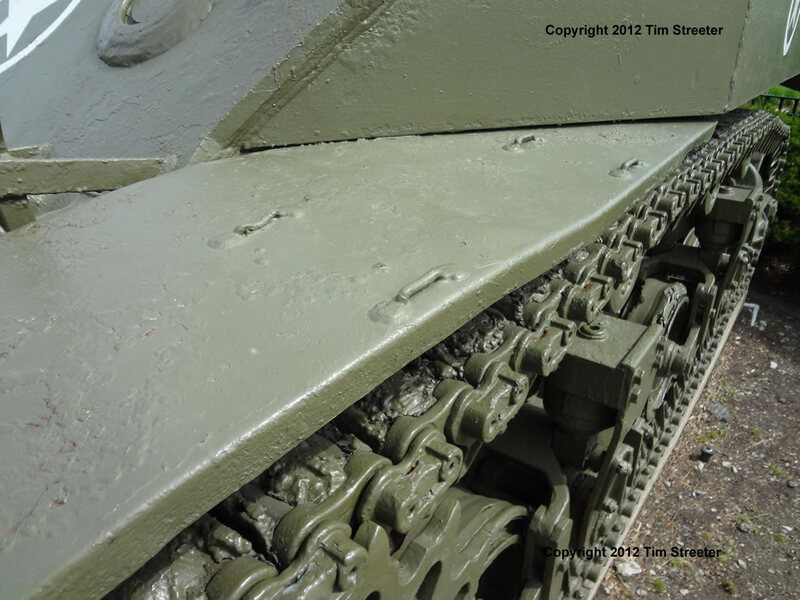 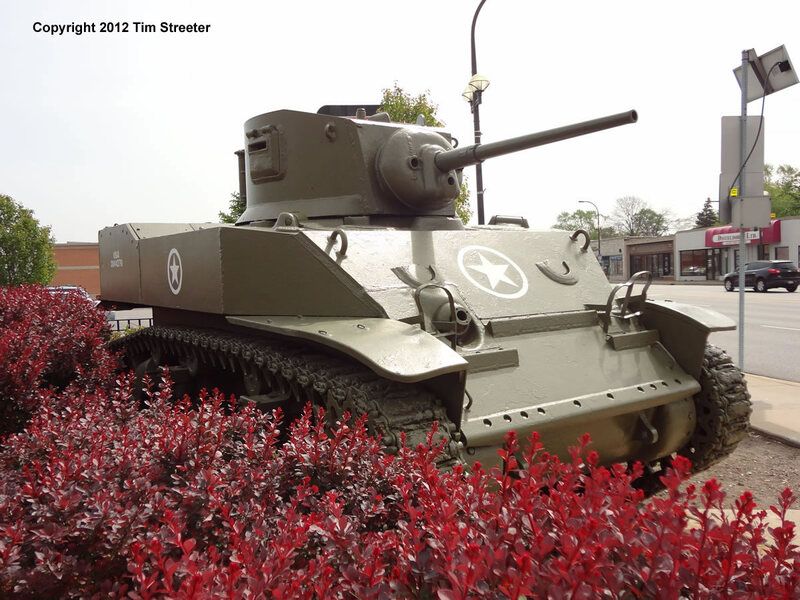 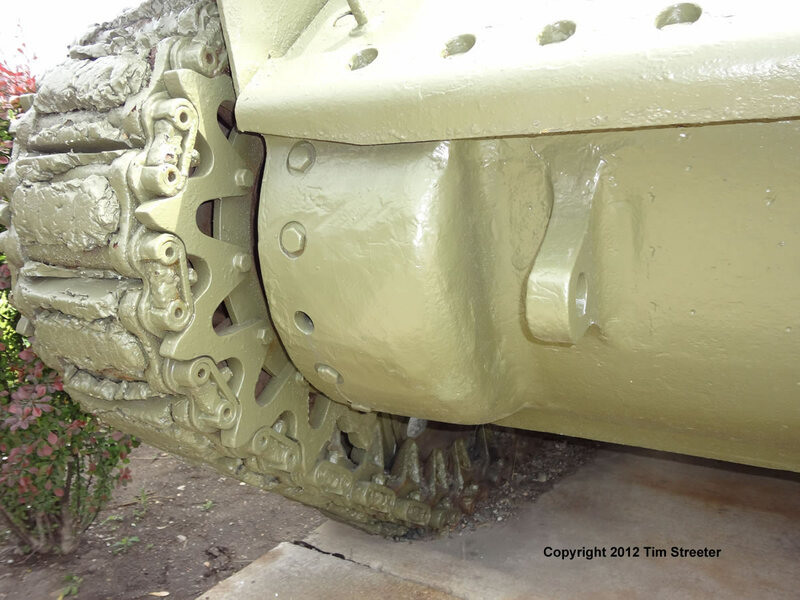 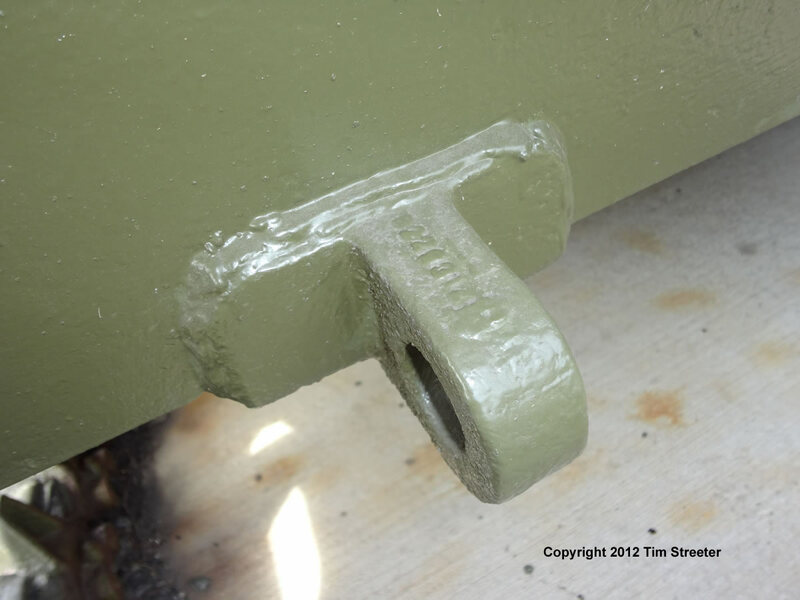 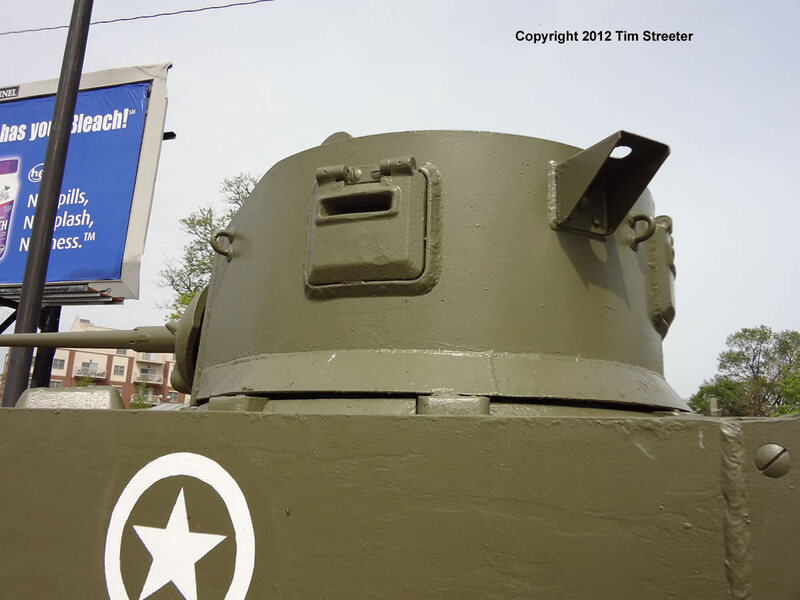 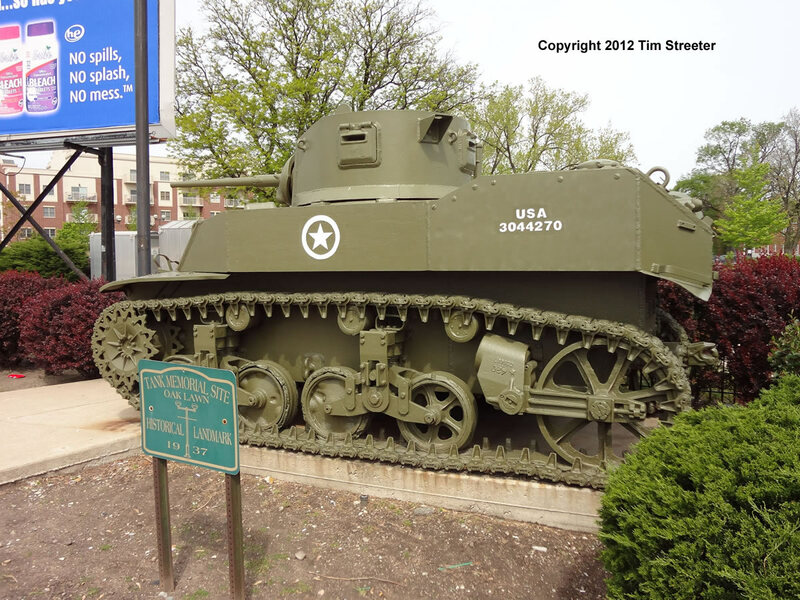 This Stuart was photographed in April 2012, on a sliver of land along a railroad track and the parking lot of a beauty salon in Oak Lawn, IN. 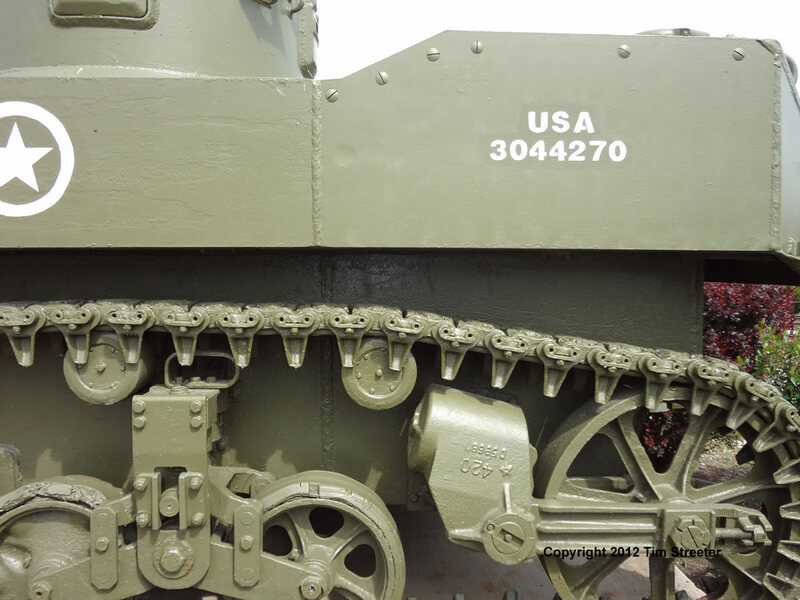 Built in October 1942, it is an early example of the Cadillac-Detroit Stuarts. 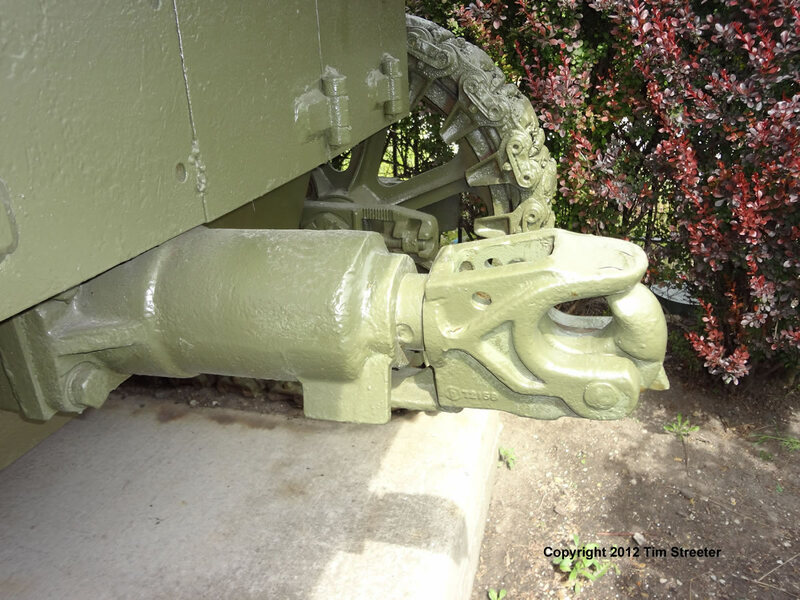 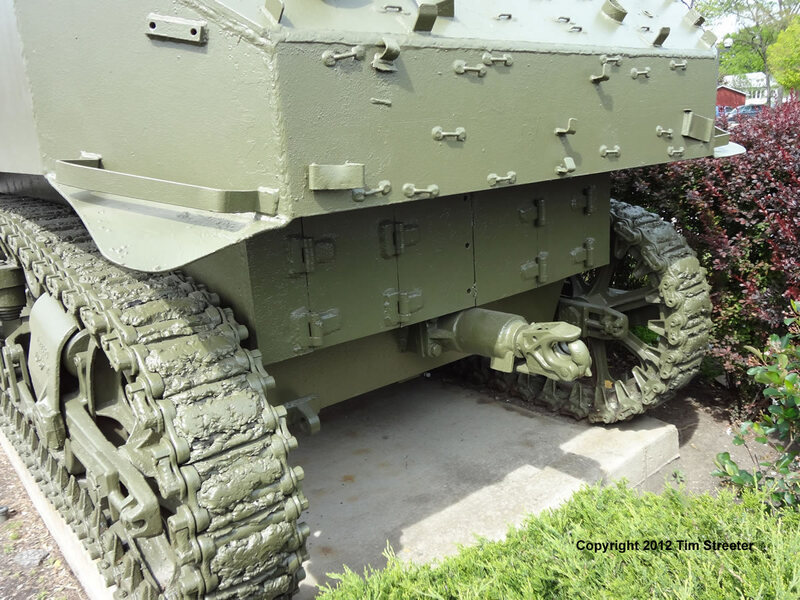 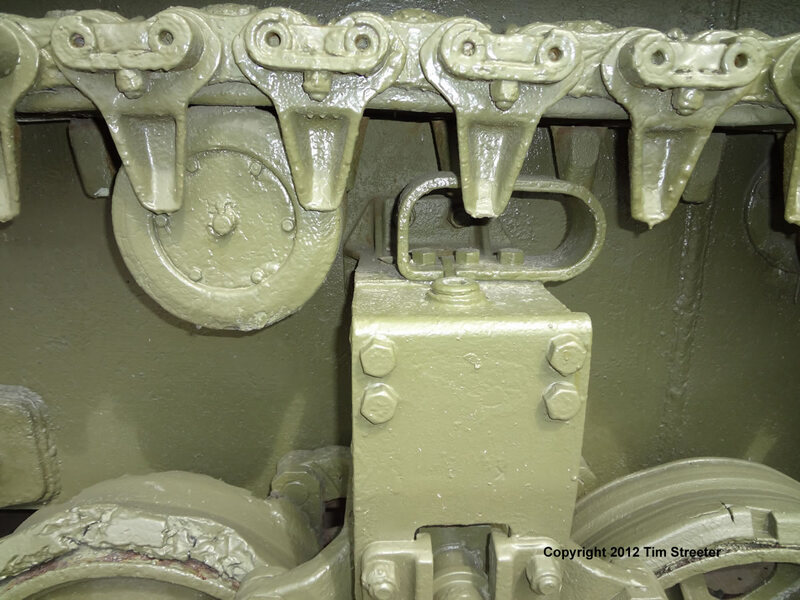 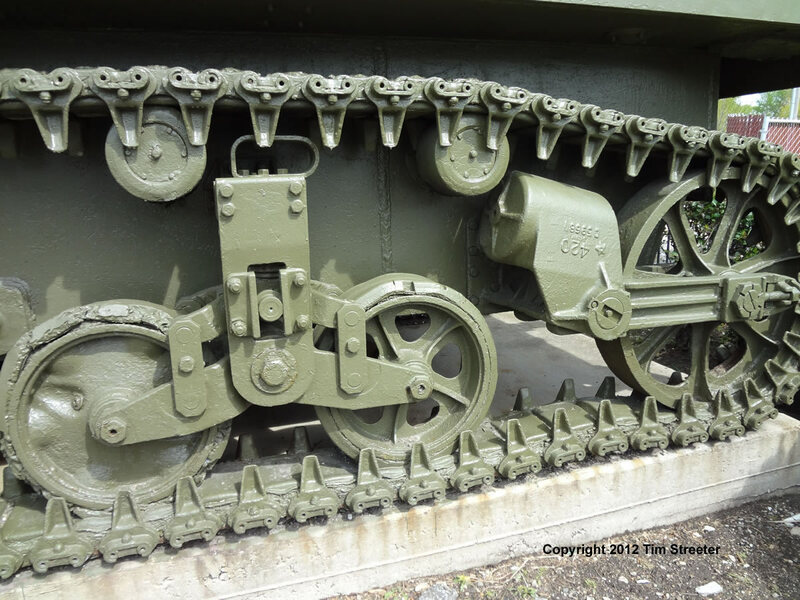 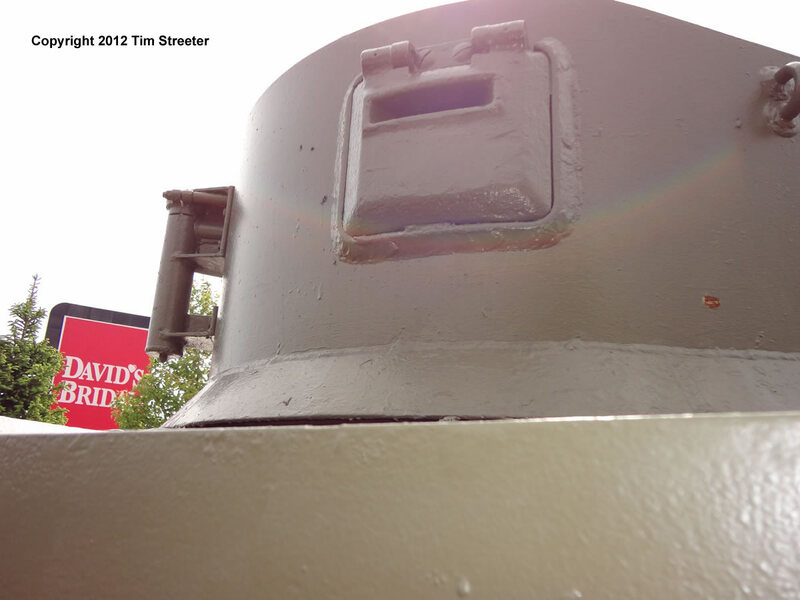 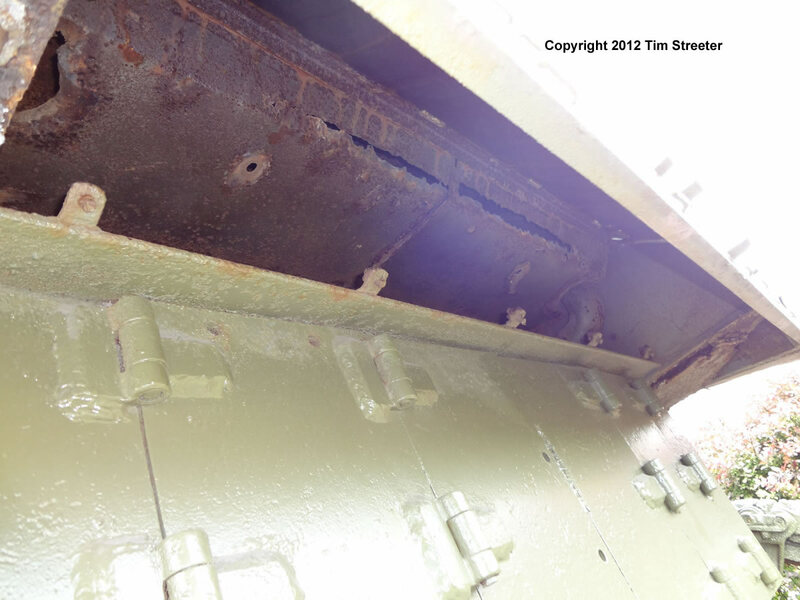 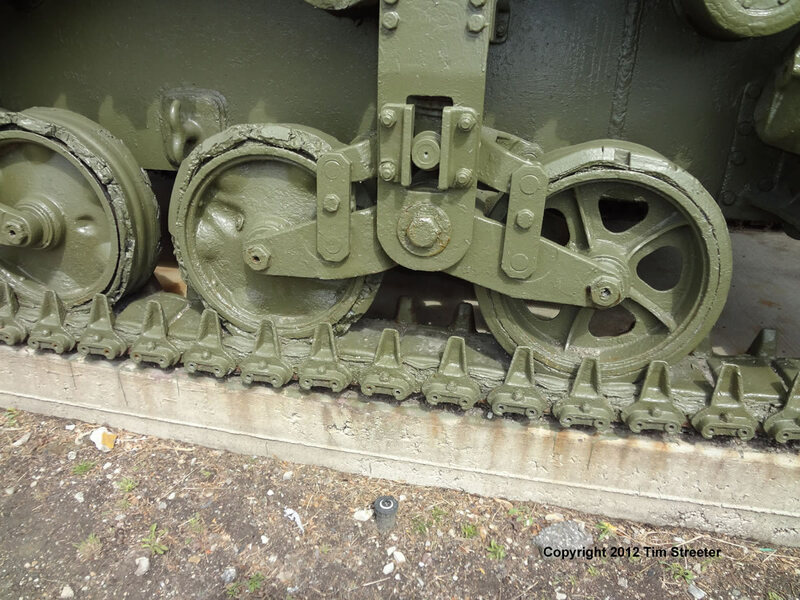 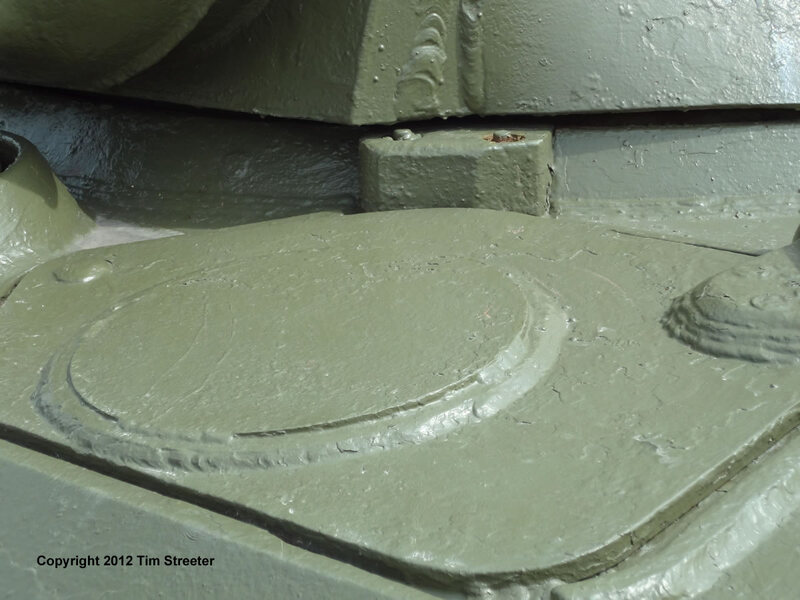 It was built without grouser racks on the turret but with an antenna bracket. 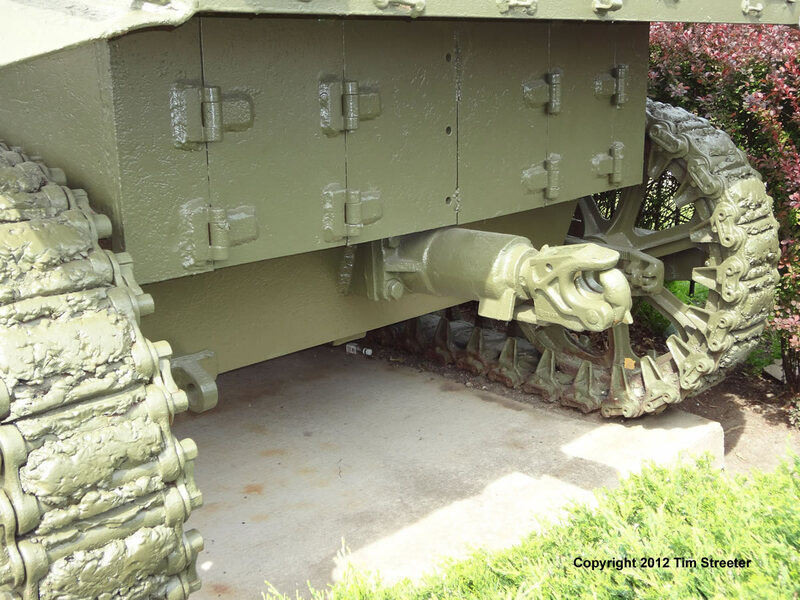 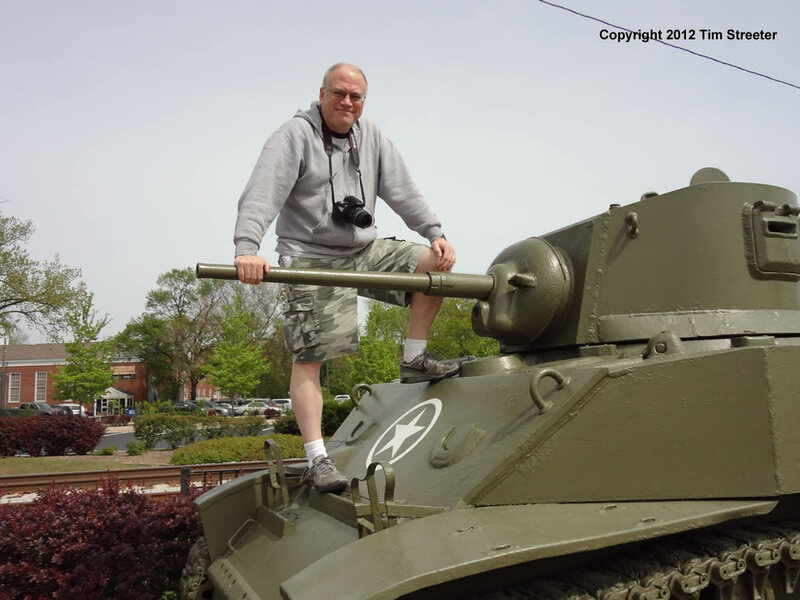 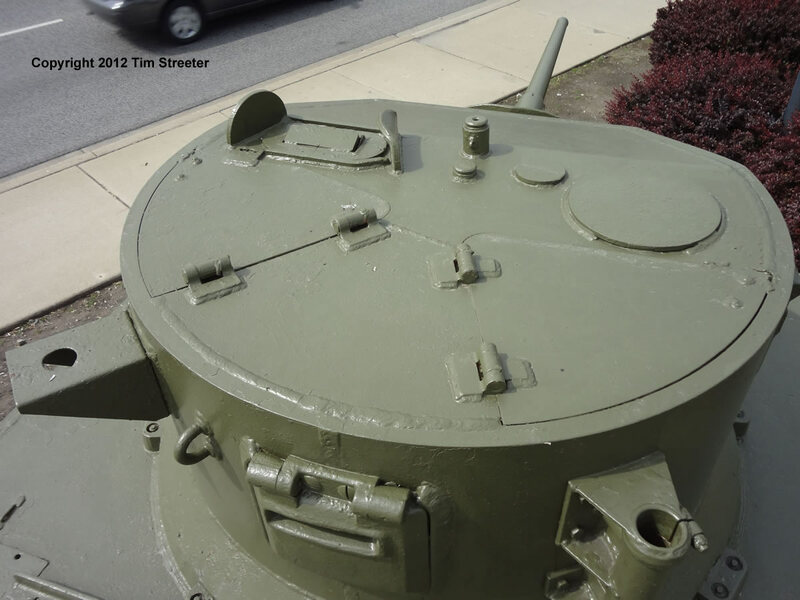 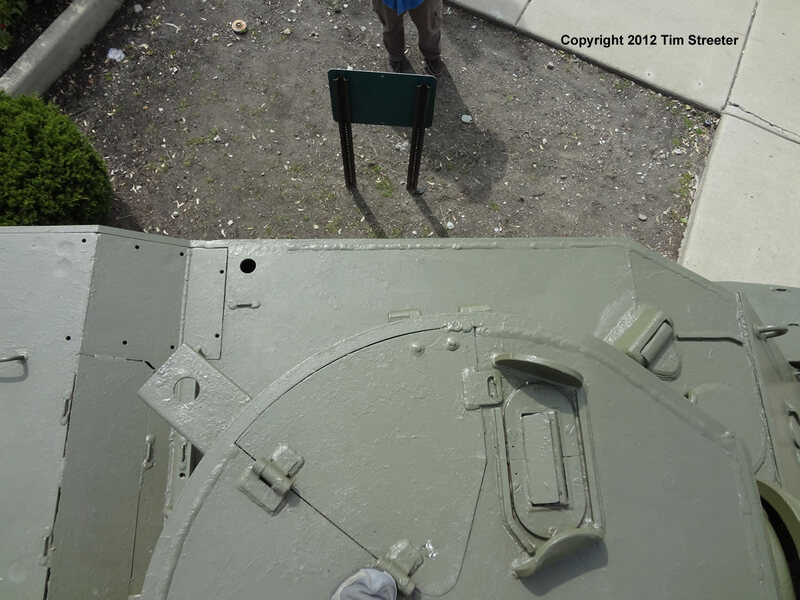 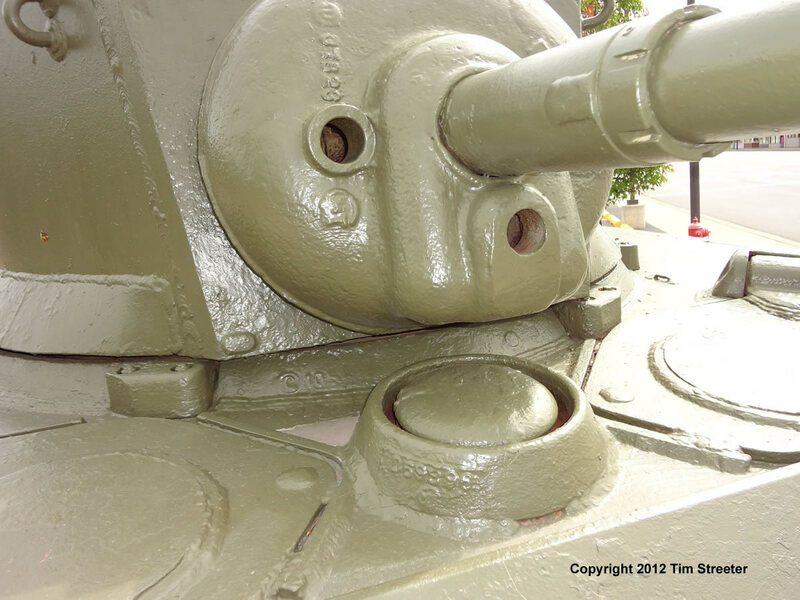 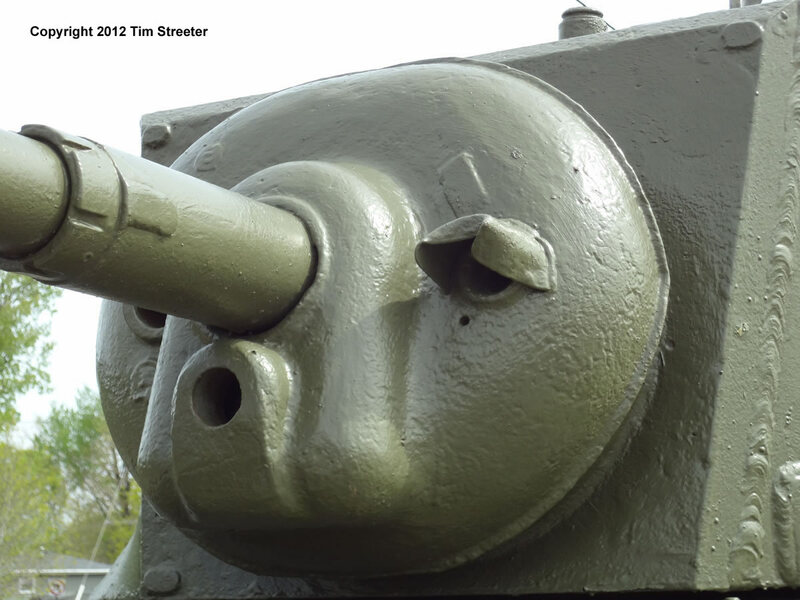 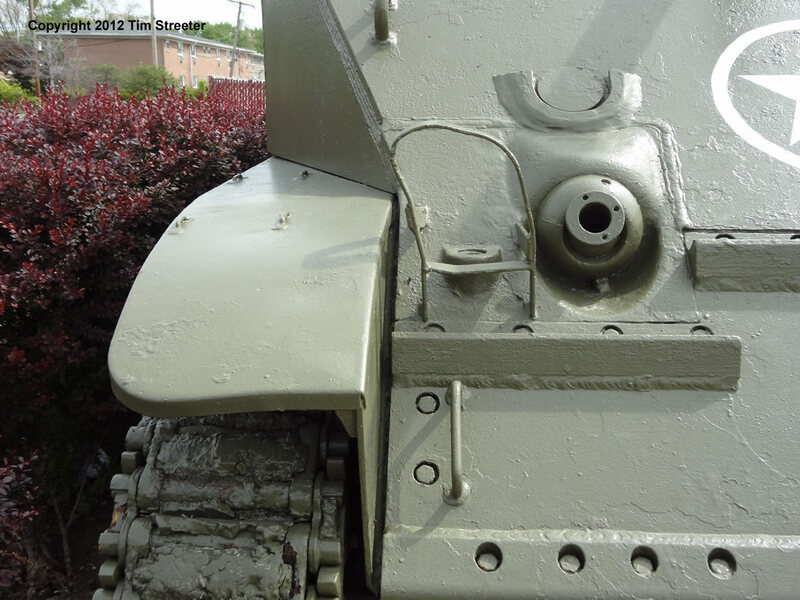 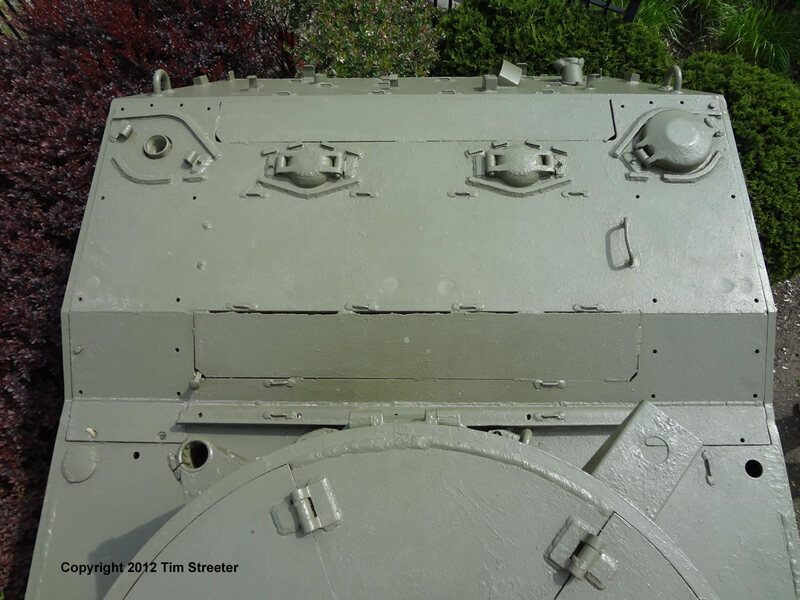 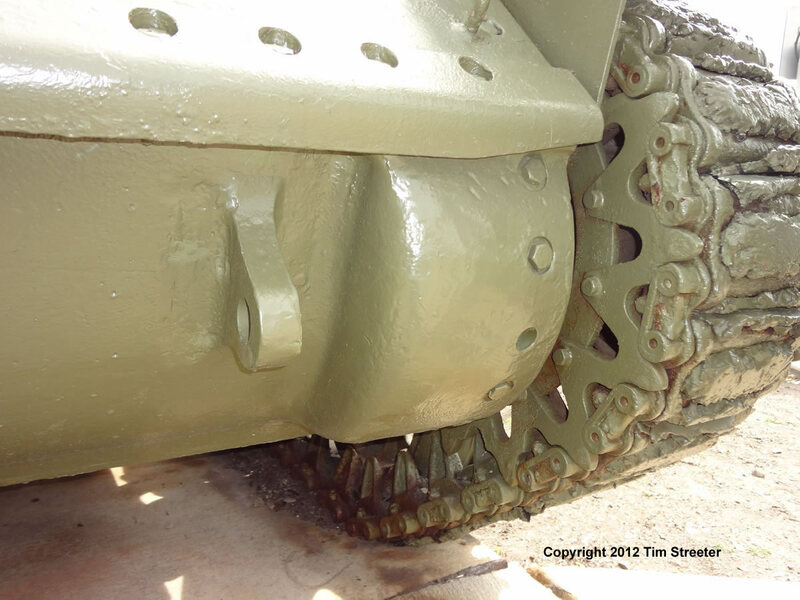 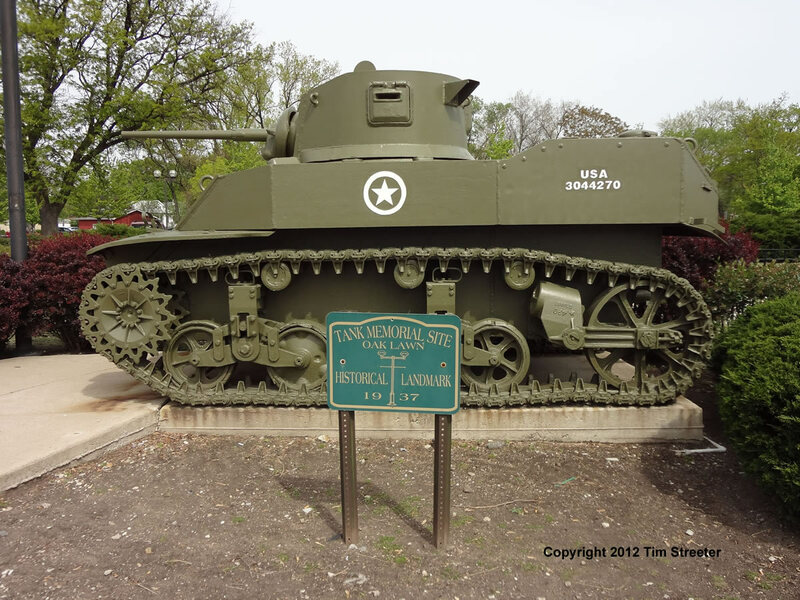 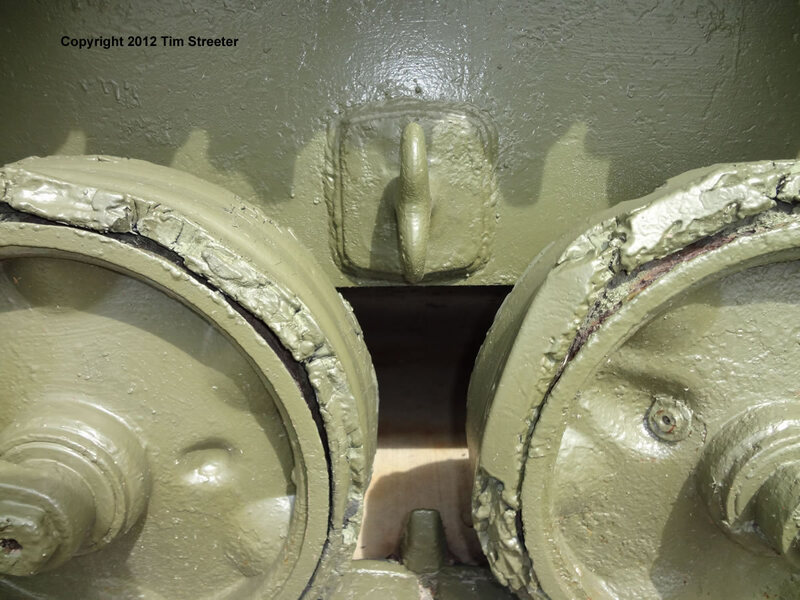 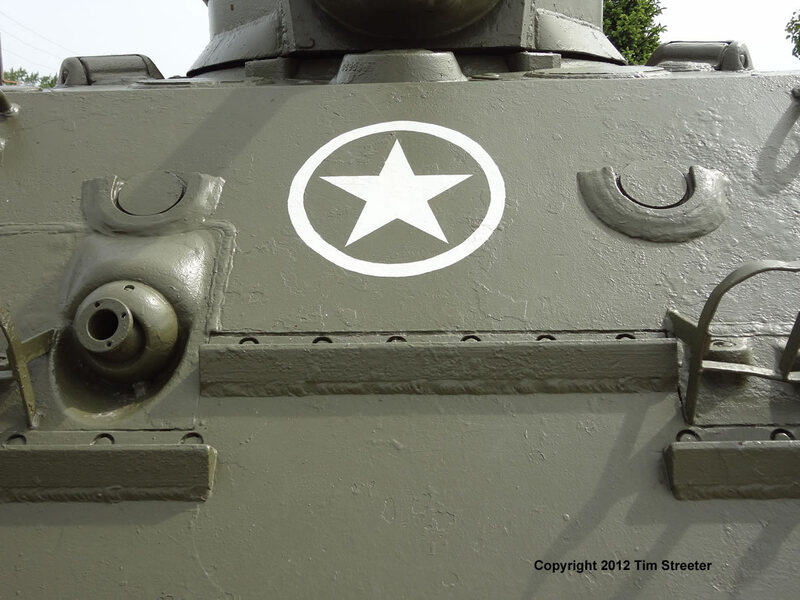 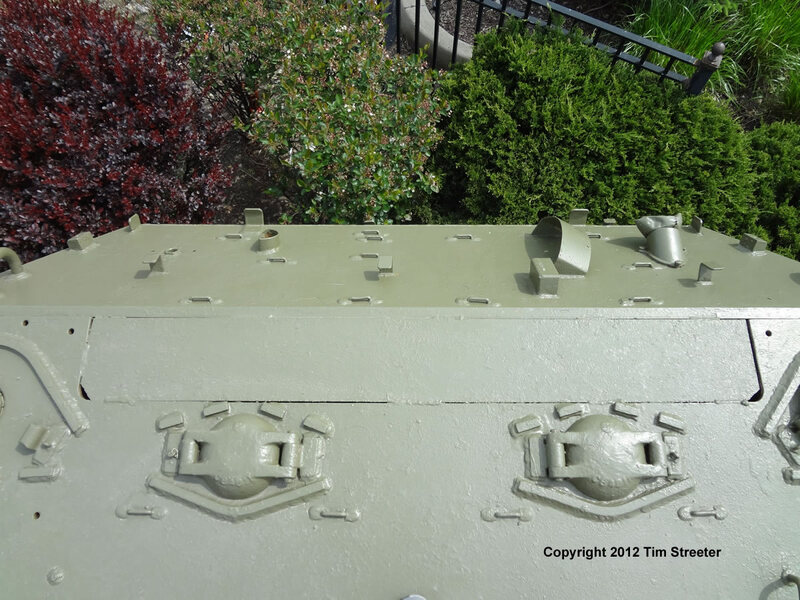 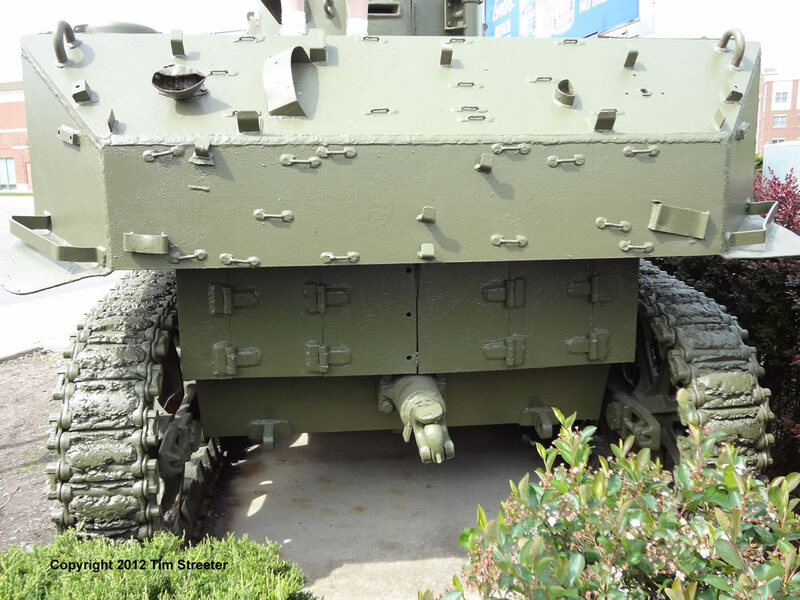 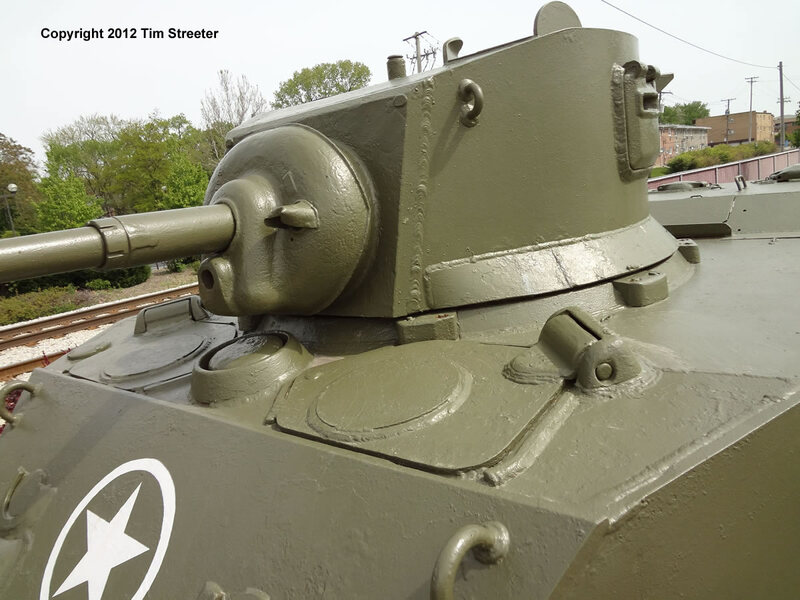 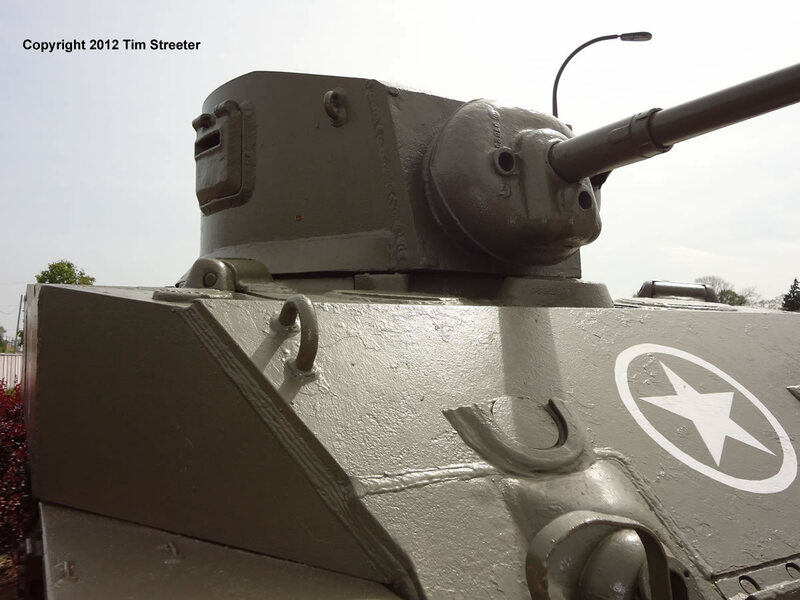 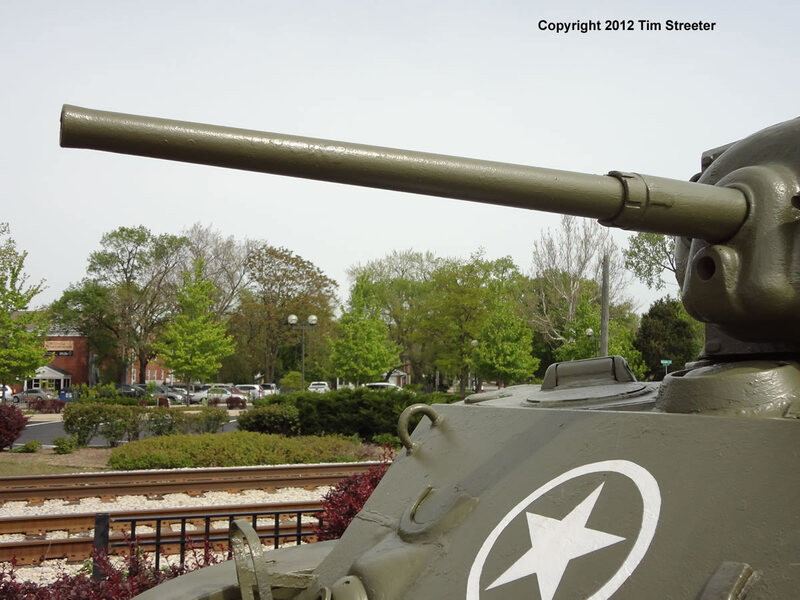 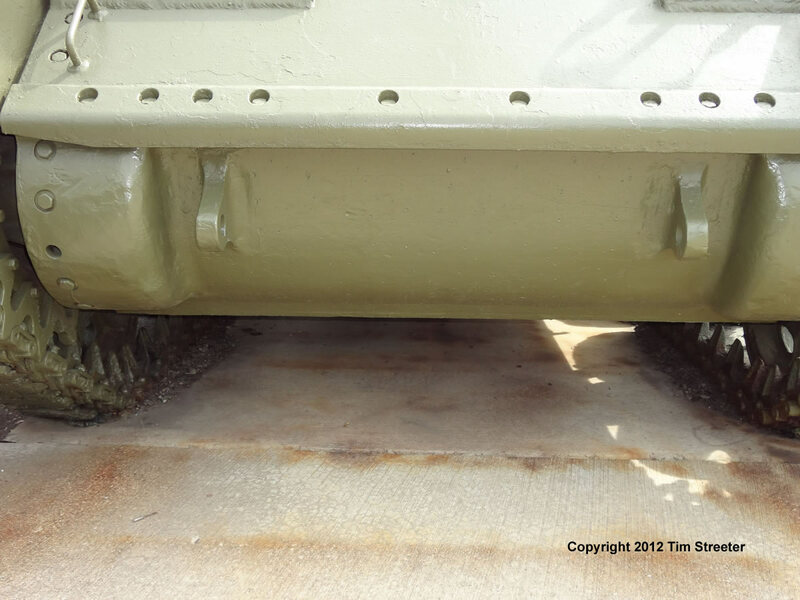 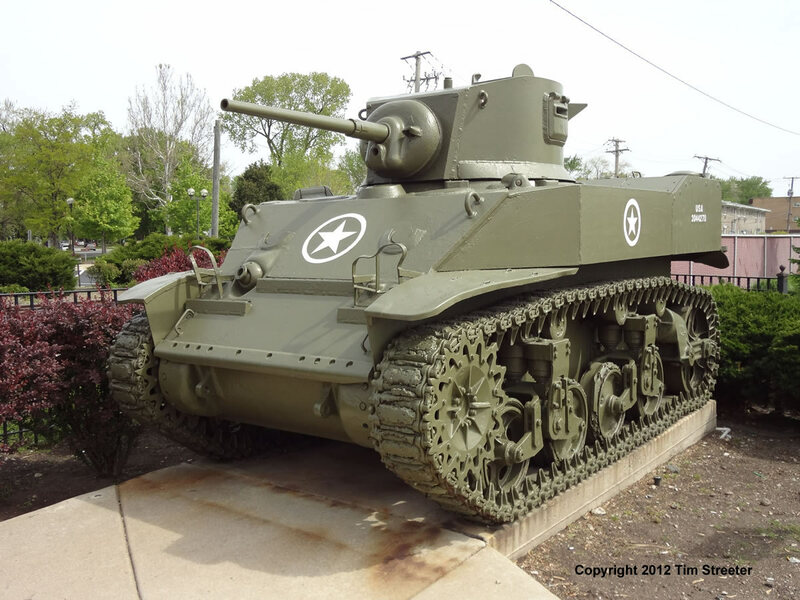 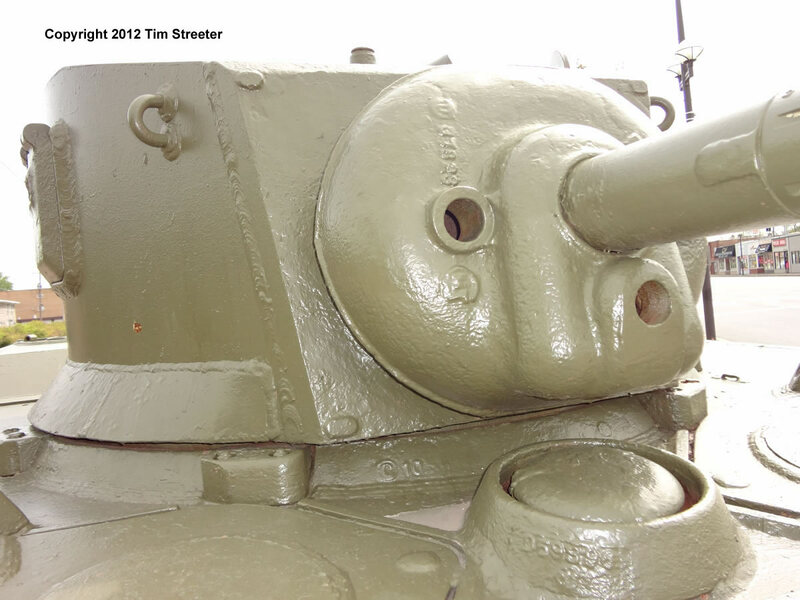 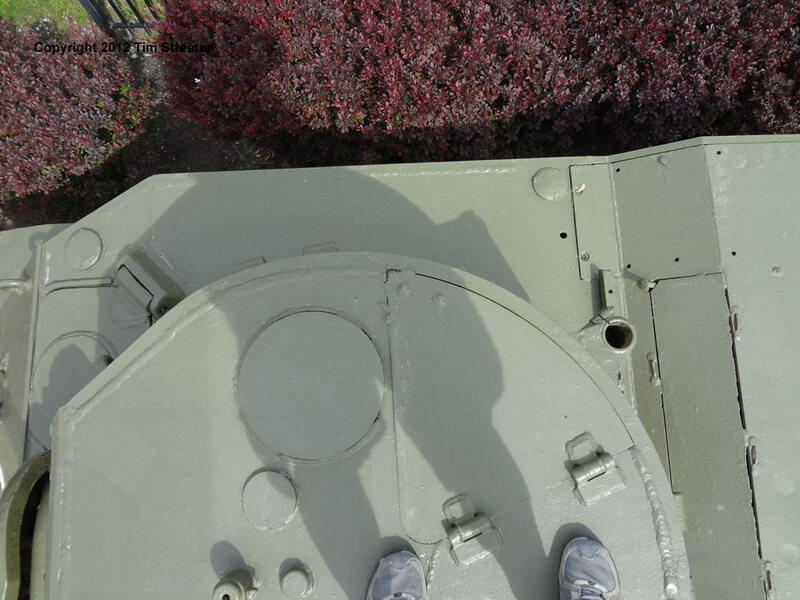 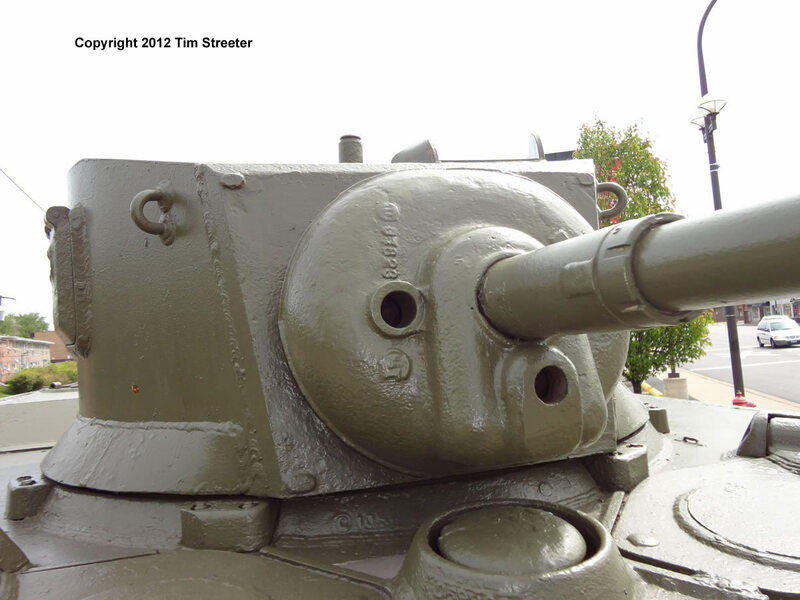 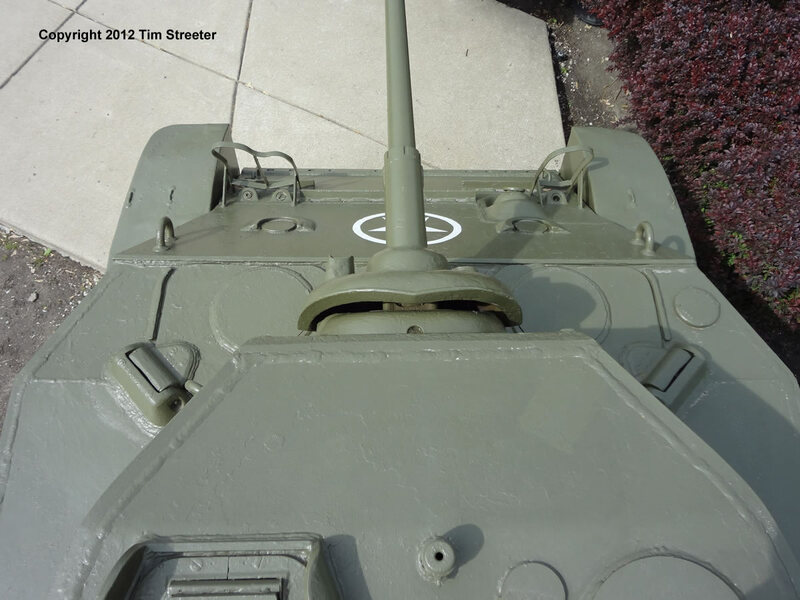 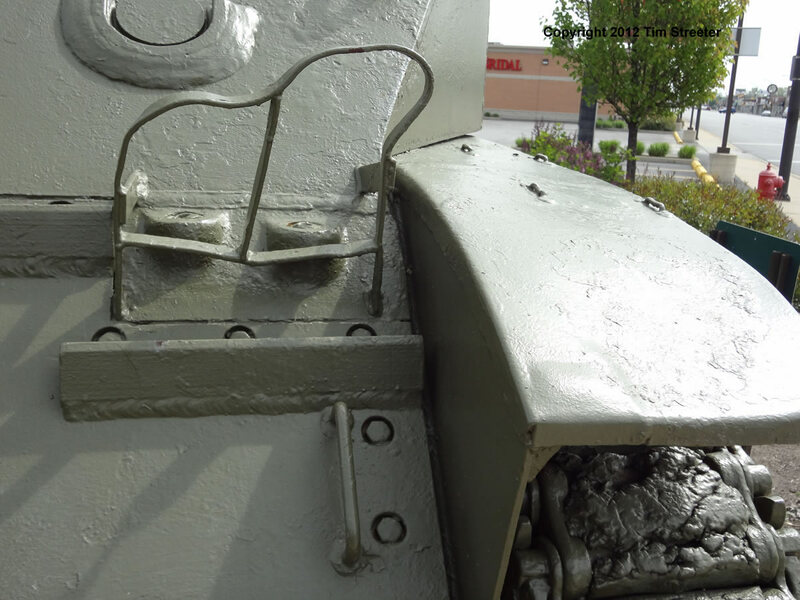 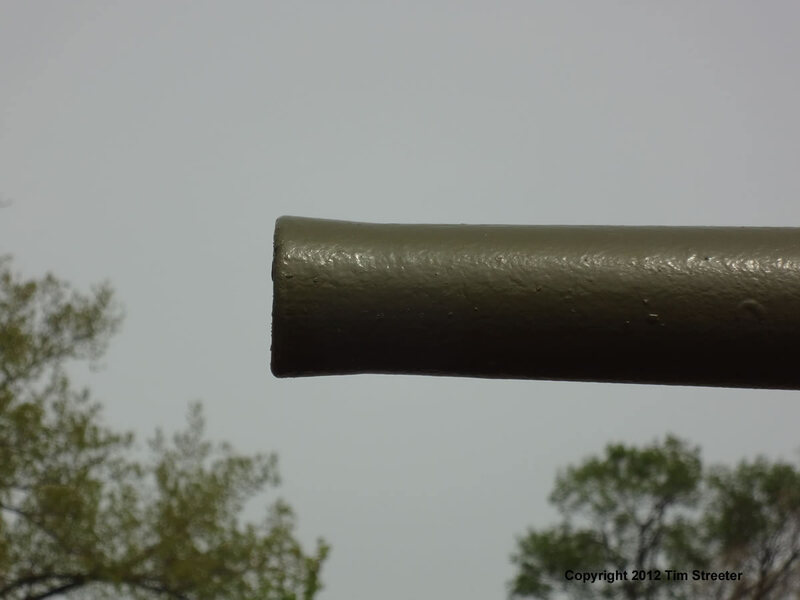 Kurt Laughlin (seen atop the tank) notes that most of this type of Stuart that he has seen have had the “modified” gun shield, unlike this one. 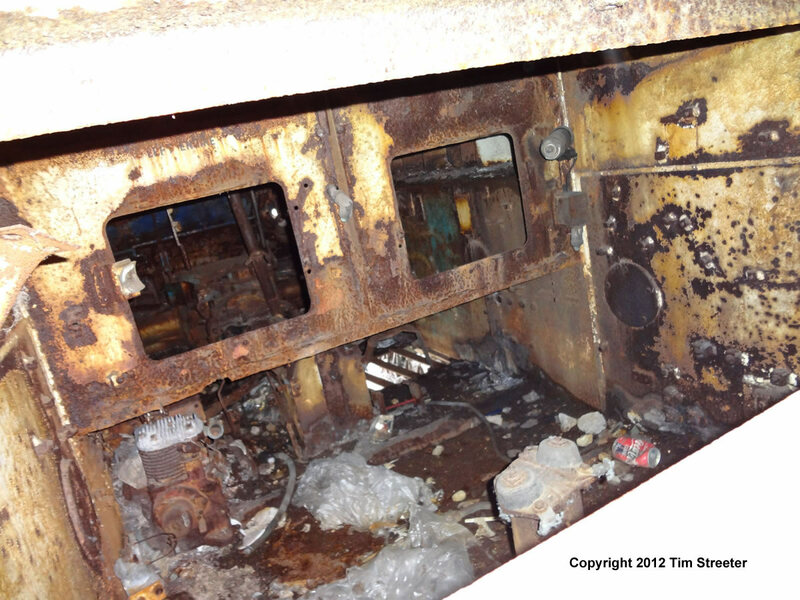 I was able to shoot the photo of the empty engine bay because the screen was no longer attached on the air vent opening.